Using print, email, or web marketing (or any combination), we employ latest Variable Data Publishing (VDP) technology to create the most tailored campaigns possible. Whether you want to talk to eight people or eighty thousand, all customers and prospects can be targeted with genuine relevance. every separate value proposition to each respective audience group. If one group wants to hear ‘speakers include…’, and another prefers to hear ‘topics covered include…’, another wants to hear ‘group discounts available…’, and another wants to hear ‘the most comprehensive industry conference’… it’s all possible. Every campaign can ride on literally any number of value propositions. 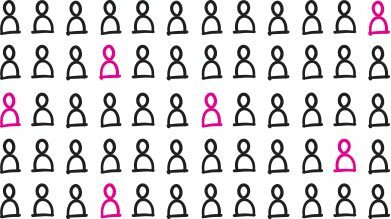 It doesn’t matter whether you’ve segmented your customer/prospect list into two or two thousand groups – a relevant proposition can be delivered to each. It sounds expensive. How can it possibly save money? It’s not expensive. Not when taking into account the level of returns you can expect. An average traditional (lowest common denominator) DM piece typically expects around a 3 or 4% response rate, and that’s when it’s considered successful. A 96% failure rate is very expensive. Highly targeted DM reaches way higher, often upwards of 20%. It’s obvious really – a message that’s relevant to a particular person is always going to be more likely to receive a positive response than one that’s only relevant inasmuch as it means something to almost anyone. Highly targeted pieces mean shorter print runs since you’re only going after specific audiences. This saves on production and distribution costs, resulting in a much greater ROI. How come we’re not seeing more of this in the marketplace? We are. Slowly. The technology has been around for several years now, but the know-how of putting that technology to its proper use is still in its infancy. Just like a mighty customer database that’s only useful once someone actually inputs accurate data, 1on1DM technology is only useful once you’ve found a specialist creative team that not only understands the possibilities but can match them with the various messages and audiences while ensuring brand loyalty. A few of the big supermarkets are cottoning onto the idea that they can actually do something with their gargantuan amounts of customer data, but it’s so different to traditional DM that it’s like asking marketers to learn an entirely new language. This is a high hurdle to jump when almost everyone in the industry has been conditioned in the art of boiling down the message to the audience. And usually, it’s only once someone actually sees it done that they understand how it can work for them. 1on1DM is, simply, the discipline of extremely targeted marketing – enabling marketers to target an individual with specific messages and imagery. Using the latest Variable Data Publishing (VDP) technology, we create the most tailored campaigns possible. Whether you want to talk to eight people or eighty thousand, all customers and prospects can be targeted with genuine relevance. It doesn’t matter how many groups you’ve segmented your customer/prospect list into – a relevant and unique proposition can be delivered to each. An average traditional (lowest common denominator) DM piece typically expects around a 3 or 4% response rate, and that’s when it’s considered successful. A 96% failure rate is, of course, very expensive. Highly targeted DM reaches way higher than traditional DM, often upwards of 20%. It’s obvious really – a message that’s relevant to a particular person is always going to be more likely to receive a positive response than one that’s only relevant inasmuch as it means something to almost anyone. If there’s genuine value in segmenting your target list, then it could be worth developing a 1on1DM campaign. Or it could be worth integrating 1on1DM into the campaign – where both generic and tailored messages are created. To begin a 1on1 campaign, clean data is absolutely essential since a generic DM piece with a typo in the address is more forgivable than a tailored DM piece containing a mistake. But don’t worry – if you’re thinking about 1on1DM but need help, we can take you through from the very beginning. The technology to create 1on1DM campaigns has been around for several years now, but the know-how of putting that technology to its proper use is still in its infancy and the expertise is difficult to find. If you’re interested in talking 1on1DM, just get in touch.